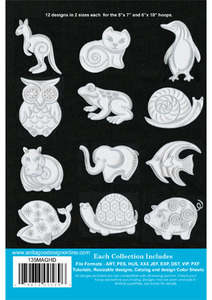 Modern animal sculptors inspired this collection when creating these designs. We wanted to create tonal animals with unique contours and stitching. 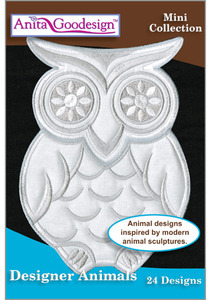 We used applique in all of these designs and 3 colors of thread. We also added batting behind the applique for a unique puffy look. We stitched the designs on black linen tea towels with a cotton and grosgrain ribbon trim.